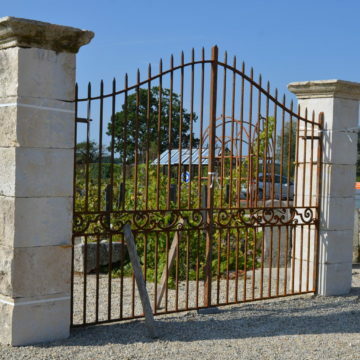 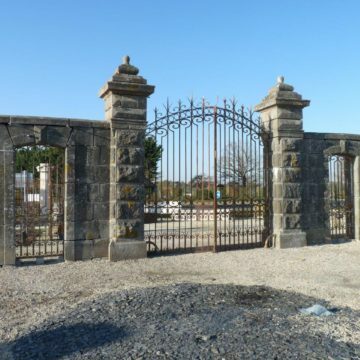 Antique french limstone gateway pilars. 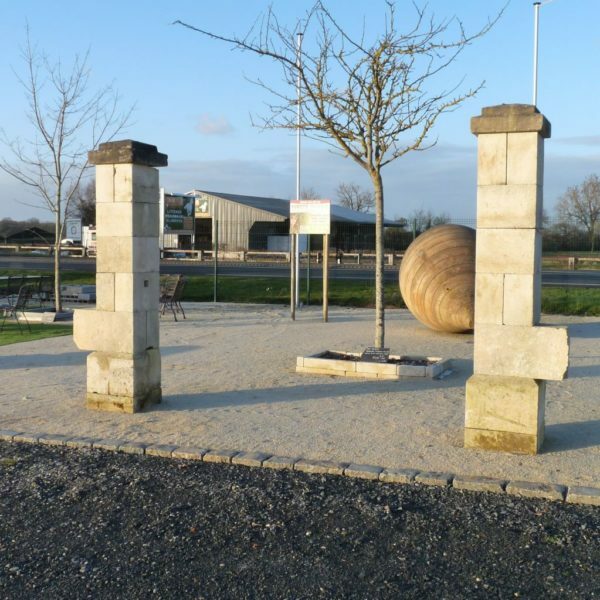 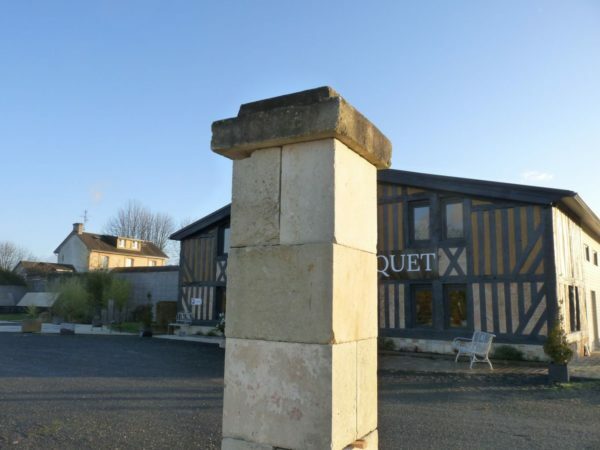 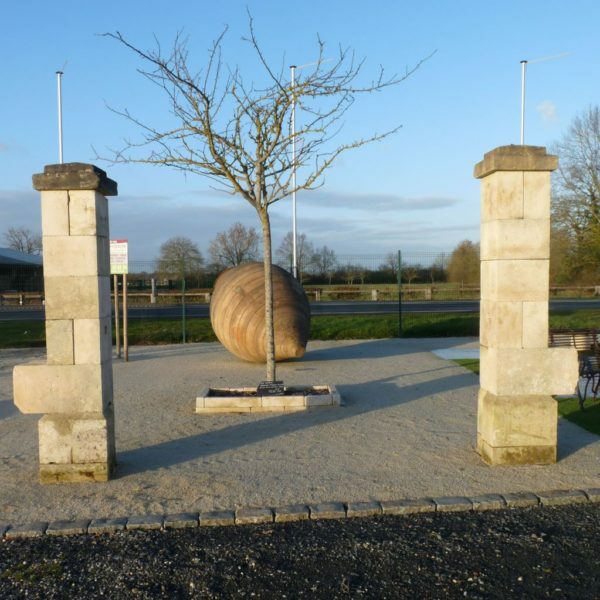 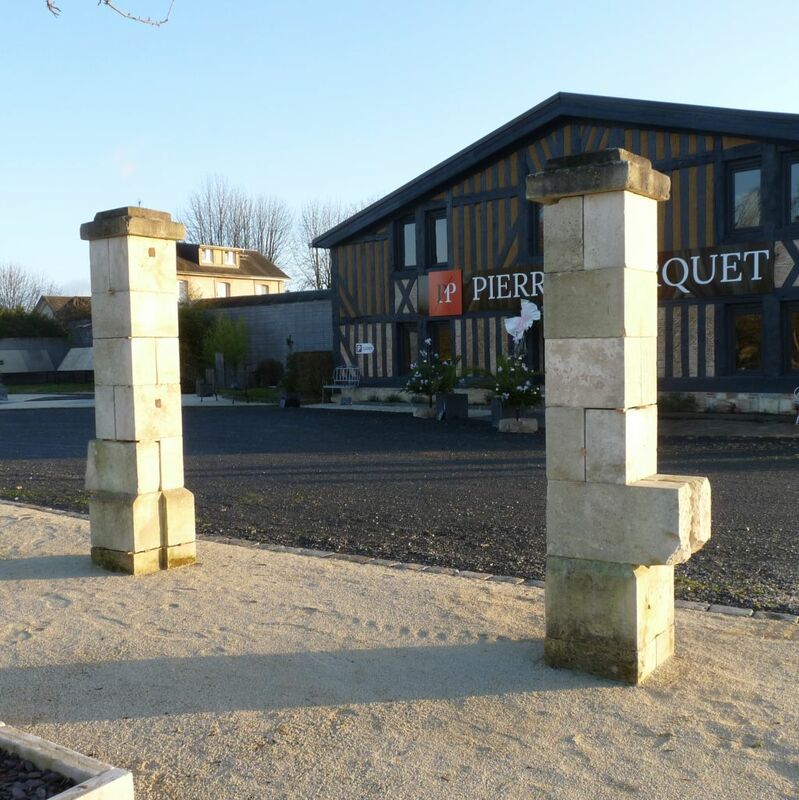 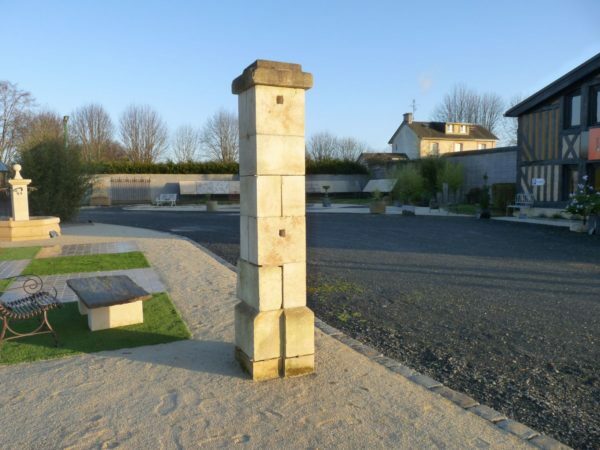 This pair of reclaimed limestone gate pillars is on display at BCA’s Normandy premises at Mery Corbon, between Caen and Lisieux. Metric dimensions approx: Main Section 360 x 360mm. 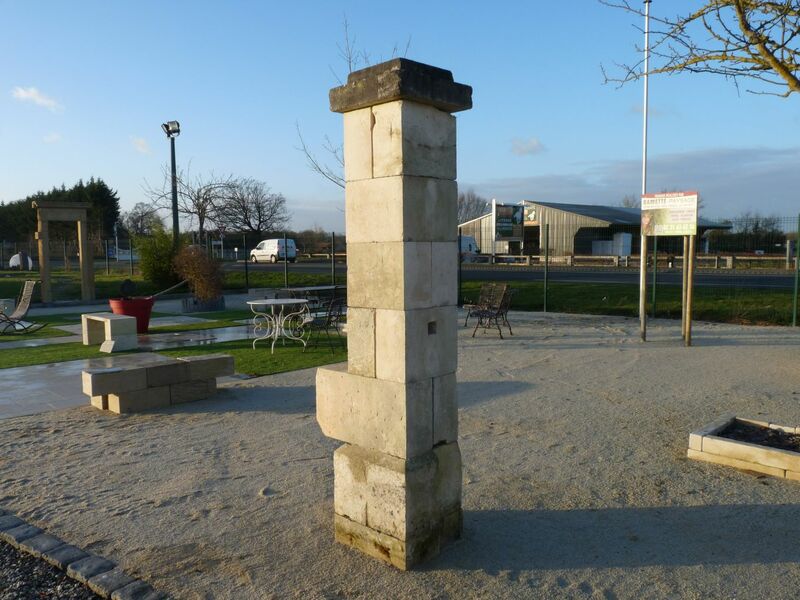 Base section 460 x 460mm. Pillar height 2 metres. Capitals : 460 x 460mm x height 180mm. 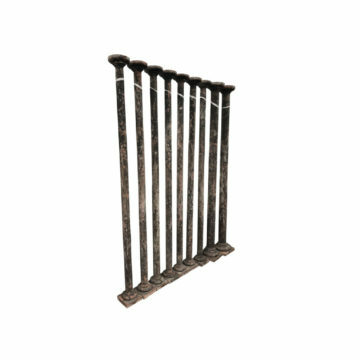 Imperial dimensions approx: Main Section 14 x 14 inches. 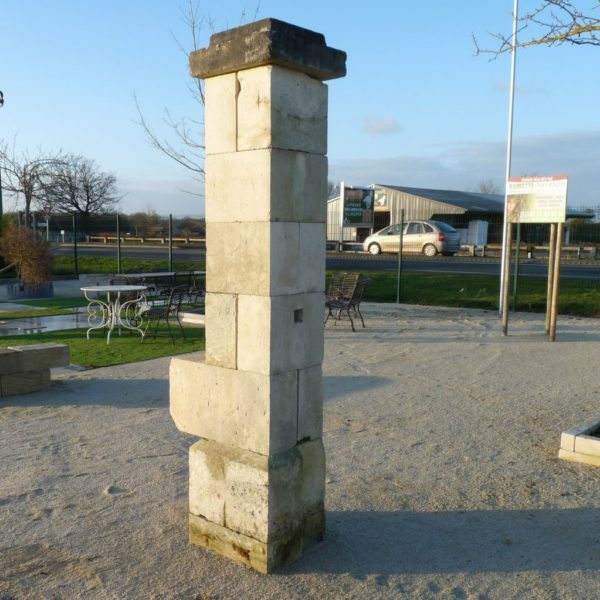 Base section 18 x 18 inches. 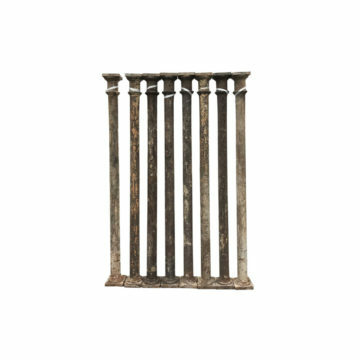 Pillar height 6.5 ft. Capitals : 18 x 18 inches x height 7 inches.